At a Friday hearing to answer questions about the false alert, the governor was also criticized for leaving before it was even halfway through. Hawaii Gov. David Ige during the hearing at the Hawaii State Capitol in Honolulu. A Hawaii National Guard commander said Friday he informed the governor that the missile alert broadcast statewide was a false alarm just two minutes after it went out, raising questions over why it took so long to inform panicked residents that it was an error. Maj. Gen. Arthur "Joe" Logan made the comments to state lawmakers at a hearing on the botched exercise that alerted more than a million people at 8:07 a.m. on Jan. 13 that a ballistic missile threat was inbound and it "is not a drill." At 8:09 a.m., Logan said he informed Gov. David Ige that the alert was sent in error and there was no threat. However, the governor's office didn't tweet about the false alarm until 8:24 a.m. — 15 minutes after the panic started. It took 38 minutes before a corrected alert was sent to mobile devices at 8:45 a.m. because state officials said they had no message prepared for a false alarm and they had to reupload a new alert to the system. 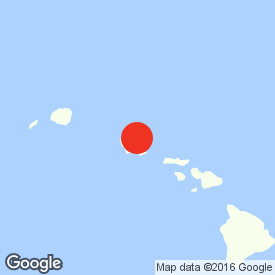 Vern Miyagi, administrator of the Hawaii Emergency Management Agency (HIEMA), said it took him about 15 minutes to determine for sure that the alert was false because he could not reach the state warning point until then. However, he acknowledged at the hearing that the false alert, and the time it took to correct it, was "totally unacceptable." HIEMA administrator Vern Miyagi on Saturday. Ige was not at the hearing to respond to questions about the timeline of events because he left the two-hour hearing after about 45 minutes, prompting criticism from a number of lawmakers. "I am disappointed the governor left," Rep. Kaniela Ing said. "I can't imagine what is more important than this right now." Ige's spokesperson, Cindy McMillan, told BuzzFeed News that the governor had to first track her down to prepare a message to send out since the communications team handles his social media. "Staff handles the governor’s social media accounts," McMillan said. "It took time for the governor to contact us and give us the information before we could post it." US Rep. Tulsi Gabbard was the first official to share the information Saturday on Twitter at 8:19 a.m., just 12 minutes after the mobile alert was initially sent. "She took action to inform the public," Ige said of Gabbard at the hearing, explaining that after she received the alert she called the US Pacific Command center, which informed her directly that the alert was a mistake. Miyagi also acknowledged that he was wrong in saying that his agency needed sign off from the Federal Emergency Management Agency (FEMA) before sending a cancellation message. "I said that we needed authorization. I was wrong," Miyagi said, adding that it would have "saved some time" to have skipped that step. It ended up being a 17-year-old student in Hawaii who was reportedly the first person to tweet that the incoming missile alert was false after he quickly called HIEMA to verify it. 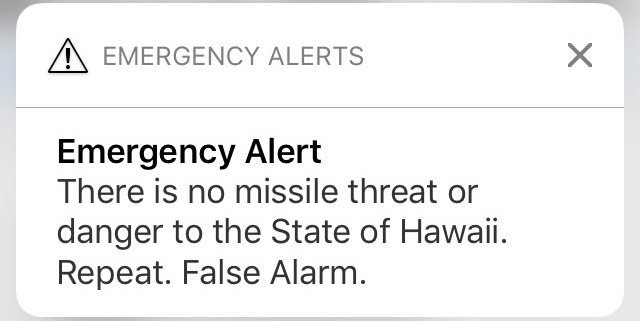 William Heyler, who attends Iolani School in Honolulu, shared the information that it was a mistake just five minutes after the false alert was sent out. Lawmakers at the hearing also quizzed officials about general readiness and possible scenarios had the alert been real, such as whether the Department of Defense has the ability to destroy an incoming missile. Logan said the military would be able to intercept a ballistic missile in the event it was launched, noting that there are ground- and sea-based interceptors at the US's disposal. "The missile would be intercepted before it impacted Hawaii," he said. He added that Hawaii could face a tsunami from the detonation over the sea, but didn't know how big it would be. Federal Communications Commission attorney James Wiley also responded to questions about why not everyone received the alert. First, he said, some carriers may not participate in the nation's Wireless Emergency Alert system, or they may only offer the service to some geographic areas or certain types of mobile devices. Some people may have also opted out of the service. Others, he added, may have been out of cell service range. Hawaii Rep. Beth Fukumoto took to Twitter to criticize the hearing and the governor's lack of leadership. Tulsi Gabbard's name was misspelled in an earlier version of this post.